Damages to a roof can have many causes. Some of the causes of Canton roof damage are connected to the type of roof you have. Whether you are trying to protect and extend the life of an existing roof or you want to protect a new roof, here are some of the main causes of roof damage in Canton, Ohio. 1. Poor Maintenance. It is important to regularly inspect your roof for small problems and damages and immediately make repairs. This is especially true if your roof has little or no slope. Regular inspection and maintenance by a qualified Canton roofer will prevent small minor damage from becoming a major problem or leak. 3. Other Weather Damage. 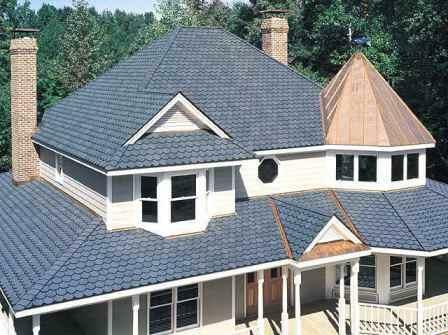 Most roofing materials can be damaged over time by exposure to various weather conditions. If you live in an area likely to see large snow accumulations, you need to be sure the roof is adequately supported against the weight of the snow and properly sloped so the snow will not stay on the roof any longer than necessary. If you live in an area prone to hailstorms, you should know that hail can cause serious roof damage, and you should carefully inspect your roof after every hailstorm. The sun, pollutants in the air and other chemicals in the air or in the rain can also damage roofing materials. Inspection and repair of minor damages can prevent big trouble. 4. Problems with Flashing. Because the purpose of flashing is to create a water-tight boundary between roof sections, between roofing materials and other parts of the house and between roofing materials and roof projections, problems with flashing often cause leaks. These leaks can damage the field of the roof as well as the interior of the house. Flashing problems usually happen because of either design or installation errors. Some flashing problems can also result from wind damage. Regular inspection of all types of flashing in all parts of the roof can catch problems early and correct them before there are major leaks. Each of these major causes of Canton roof damage can be minimized by regular and careful inspection for early and minor problems. Immediate attention to any flaws or damages with competent repairs can help you avoid major damage to your roof and prevent the need for early and costly roof replacement. If you are looking for Canton roof repair services, please call us today at 614-263-8899 or complete our�online request form.